This yields an arc on the unit circle centered about the origin, starting at P_0 and and ending at P_3, with the least amount of radial drift. Bézier curves are often used to generate smooth curves because Bézier curves are computationally inexpensive and produce high-quality results. The circle is a common shape that needs to be drawn, but how can the circle be approximated with Bézier curves? The standard approach is to divide the circle into four equal sections, and fit each section to a cubic Bézier curve. This reduces the problem to a matter of fitting a cubic Bézier curve to a right circular arc. The endpoints of the cubic Bézier curve must coincide with the endpoints of the circular arc, and their first derivatives must agree there. The midpoint of the cubic Bézier curve must lie on the circle. The maximum radial drift is 0.027253% with this approximation. In this approximation, the Bézier curve always falls outside the circle, except momentarily when it dips in to touch the circle at the midpoint and endpoints. Figure 2. The radial distance from the arc to the standard Bézier approximation. The maximum radial distance from the circle to the Bézier curve must be as small as possible. This new constraint explicitly requires the Bézier curve to stay near the circle—resulting in a better fit. Figure 3. The radial distance from the arc to the ideal Bézier approximation. This radial distance function, d(t), has minima at t = 0, 1/2, 1, and maxima at t = 1/2 +- sqrt(12 - 20*c - 3*c^2)/(4 - 6*c). Because the Bézier curve is symmetric about t = 1/2, the two maxima have the same value. The radial deviation is minimized when the magnitude of this maximum is equal to the magnitude of the minimum at t = 1/2. The maximum radial drift is 0.019608% with this approximation. This is 28% better than the standard approximation. Figure 4. 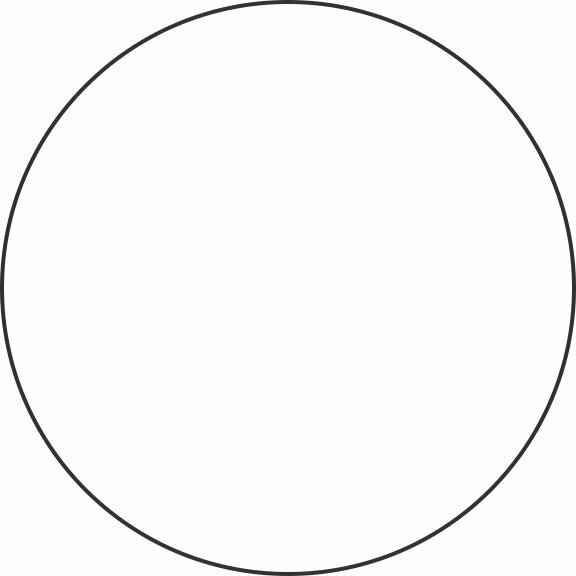 The Bézier approximation is almost indistinguishable from a circle.